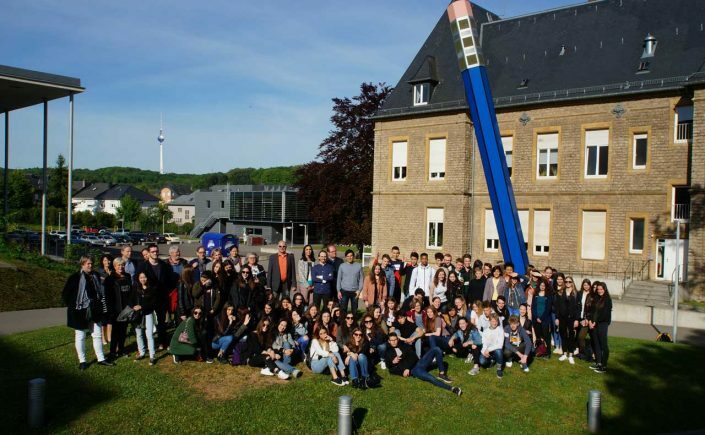 The Erasmus+ project “Patrimonies – Landscapes – Perspectives” revolves around the meeting and comparison of three different European facts, represented by the three cities participating in the project: Dudelange (Luxembourg), Arezzo (Italy), Berlin (Germany). The collaboration of the École Nationale Supérieure d’Architecture de Paris Val-de-Seine (France) is also included. Students were asked to share with their counterparts the nature and peculiarities of their environment. This Erasmus+ project is co-financed by the European Commission. All the contents of this site only reflect the point of view of the respective authors; both the National Agency of Luxembourg Anefore and the European Commission are not responsible for the use that could be made of the information contained in this site.